Today was certainly a crazy day in the online poker world, as the AGCC (Alderney Gambling Control Commission) announced that they would be suspending their licenses for Full Tilt Poker's various companies pending a hearing in late July. Full Tilt Poker shut down completely after the AGCC announced their decision, and they are reportedly working on re-opening their doors in a different jurisdiction. 1. Bwin.Party Soars. 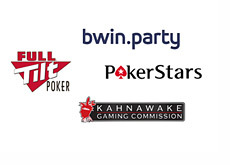 Bwin.Party (parent company of Party Poker) rose over 11% today after word of Full Tilt Poker's troubles started to leak. Bwin.Party is now trading at 148.20, which is roughly 20 points higher than what it was trading at before "Black Friday". "In light of today's news that Alderney Gambling Control Commission has suspended Full Tilt Poker's license, PokerStars wishes to assure our customers that their funds are completely safe and that our operations are completely unaffected. The Isle of Man Gaming Commission today re-affirmed that PokerStars' worldwide licensing is intact and that our operations are in full compliance with all of its requirements. PokerStars' online operations continue as normal and all funds in players' accounts are safe and available for withdrawal as usual with no delays. As provided under our licensing, PokerStars has always maintained the integrity and security of our players' funds, by keeping all such funds in segregated bank accounts, always available for immediate withdrawal. Since the actions of US Department of Justice in April, we have returned more than $120 million to US players and continue to act upon requests as they are received. Players outside the US have not been affected and all cash-outs have been processed without delays. Further, PokerStars entered into an agreement with the Department of Justice which expressly confirmed the company's ability to operate outside the US. We will continue to operate as a responsible corporate citizen and are committed to serving the needs of our customers in complete compliance with our regulatory requirements." 3. Isle of Man Gambling Supervision Commission Issues Statement re: Pokerstars. "The Isle of Man Gambling Supervision Commission wishes to make it clear that the licensing status of PokerStars in the Isle of Man remains unchanged following today's statement from the Gambling Control Commission in Alderney. Alderney is a separate jurisdiction from the Isle of Man and the operation in question is separate from PokerStars. 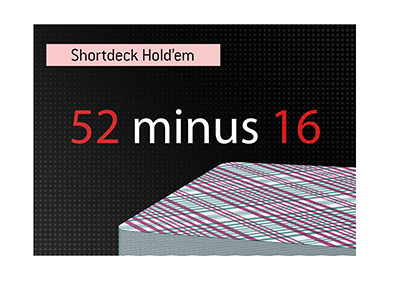 PokerStars continues to demonstrate compliance with its licence conditions in the Isle of Man. 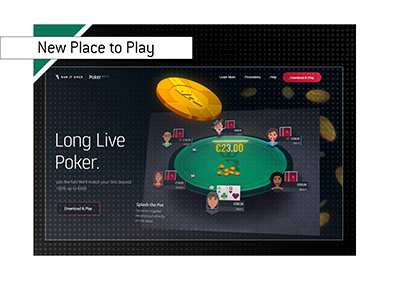 PokerStars continues to offer withdrawals to any players who wish to withdraw their funds, including players in the USA to whom PokerStars does not currently offer real-money gaming." 4. Other Sites Pressured AGCC To Suspend Full Tilt License? WCP is reporting that other sites that are licensed by the AGCC may have been "applying pressure on the AGCC to suspend Tilt's license". 5. WSJ Re: Jack Binion. "Full Tilt is hoping a cash infusion can help it pay back the players, according to people with knowledge of the situation. One possible backer is Jack Binion, a former casino executive and member of a well-known Las Vegas casino family. He has drawn up term sheets to provide a series of bridge loans, an investment or other financing, according to these people."